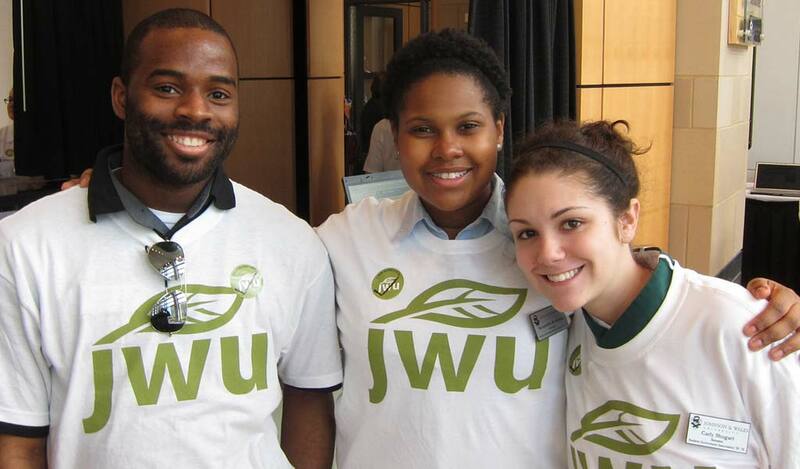 Getting involved with extracurricular activities at JWU is one of the best ways to round out your college experience. It’s also an ideal way to get to know your peers, your campus and the surrounding city. And because there are over 40 student organizations right here on campus, it's easy to get connected to all kinds of club-sponsored events like socials, dances, road trips, lectures and film screenings. Go to jwuLink and click on the Involvement Network logo to access the network. Our Student Organizations Handbook (993K PDF) covers the policies and procedures related to running a club, including how to get started, club responsibilities and event policies. If you’re interested in forming a new group, simply access the Involvement Network to submit an application, or speak with a Community Standards & Engagement representative to help walk you through the process. When a student becomes a member (pledge, associate, new or full member) of a student club, organization or team, the student represents not only his- or herself, but also the university and the club, organization or team. Groups may be held responsible as a whole for the misconduct of their individual members, including, but not limited to, any violation of the Student Code of Conduct, any other university rule or policy, or any local, state or federal law. Please refer to the Student Organizations Handbook for more information regarding group responsibility. Student organizations in good standing may be eligible for supplemental funding provided by the Student Government Association (SGA). The appropriations guidelines and procedures can be found in the Student Organizations Handbook. Questions? Email Community Standards & Engagement or stop by our office in the Wildcat Center.